Perry’s Tevion Cleveland carries the ball during Friday’s victory against Hoover. While Cleveland had 92 yards on the ground, it was teammate Keishaun Sims who stole the show, rushing for 278 yards and five touchdowns. It was another memorable night for Perry running back Keishaun Sims. The senior rushed for 278 yards and scored five touchdowns in the Panthers’ 35-14 win over Hoover on Friday night at North Canton Memorial Stadium. Sims scored three times inside the red zone before bursting through the Viking defense for two more touchdowns, one from 90 yards out and the other from 21 yards away. The Panthers got on the scoreboard quickly, scoring on the opening possession as a steady dose of Sims, along with Perry wing back Tevion Cleveland, carried the team 63 yards on nine plays. Sims scored his first touchdown to cap the drive, a plunge from 3 yards out. The rush was just a preview of what was to come. 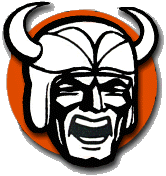 Hoover’s first possession stalled, but the Panthers muffed a punt, giving the Vikings the ball at the Perry 20. Hoover failed to score, though, as it was stopped inside the 5-yard line on fourth down. The play was the first of two goal-line stands for the Perry defense. Sims scored his second TD early in the second quarter from a yard out before adding another touchdown on a 7-yard rush later in the period. Trailing 21-0, the Vikings mustered their best offensive drive and got on the board just before the half when quarterback John Keller found Ben Harris in the back of the end zone for a 29-yard touchdown. While the half ended on a bright note for Hoover, the Vikings still trailed 21-7 after 24 minutes. In the third quarter, Perry really got going. Following a Hoover punt to start the half, Sims took a handoff 90 yards to the end zone, a play that was the signature moment of his big night. Sims scored his fifth score early in the fourth quarter, proving to be the finale of the senior’s 24-carry evening. The Panthers rushed for 426 yards as a team. Along with Sims, who has now rushed for 200 or more yards in three games this season, Cleveland finished with 92 yards on the ground. Harris caught his second touchdown of the game midway through the fourth quarter for Hoover. The junior receiver led the Vikings with four catches for 62 yards and the two scores. Meanwhile, Alex Nicholson and Eric Harbaugh also were productive in the passing game, catching five and six passes, respectively. Hoover’s quarterback duo of Keller and Cam Mayle combined for 200 yards through the air. Perry outgained the Vikings 450-252. With the loss, Hoover falls to 1-4 on the season and 0-2 in the Fed.